OTTAWA - The head of the RCMP is asking for an investigation into the seizure of firearms from homes evacuated during flooding in Alberta after the move was criticized by the Prime Minister's Office. Commissioner Bob Paulson has written to the Commission for Public Complaints against the RCMP and asked the agency to look into the matter. He says he and a lot of Canadians have questions about the force's actions in the devastated town of High River. "I am quite concerned by the sharp criticism that has arisen in the media with respect to the gun seizures from evacuated homes," Paulson wrote in a letter to Ian McPhail, the interim chair of the watchdog agency. "Naturally this is quite troubling to me, and I am sure to you, as indeed it must be to many Canadians who wonder what was going on in High River." The Mounties said they took the weapons as officers searched homes in the town's flood zone to look for stranded people, pets and anything that might pose a threat to returning residents. In a statement issued last week, the RCMP said officers found that some gun owners had laid out their weapons in plain view as they presumably moved valuable possessions to higher ground. The weapons were tagged for return to their owners. "The last thing any gun owner wants is to have their guns fall into the wrong hands," assistant commissioner Marianne Ryan said at the time. Earlier this week, the force said the weapons could be reclaimed with the presentation of a possession acquisition licence. 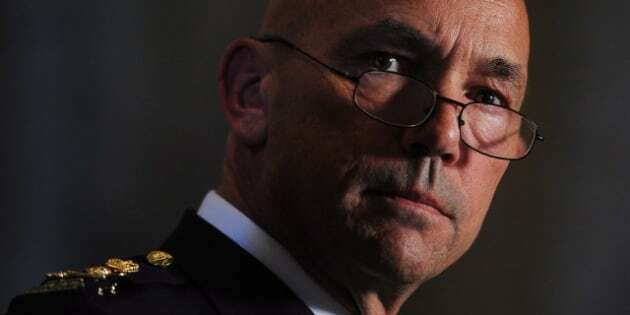 While Paulson praised officers for their "heroic work" during the flooding, he said he wants the investigation to assess whether the gun seizures were "well founded, reasonably executed and in accordance with our policies." RCMP in Alberta referred requests for comment on Paulson's letter to the national office in Ottawa. The Prime Minister's Office criticized the seizures at the time, saying the RCMP should be focusing more on protecting life and property. Opposition politicians, in turn, jumped on the PMO for meddling in the operational affairs of the national police force. During a visit to Regina on Friday, federal Liberal Leader Justin Trudeau said he wasn't aware of the decision to initiate a review. "I'm pleased that the commissioner is looking into it, but as a federal politician, I don't think I have any business questioning operational decisions of the RCMP. I think I'm going to stay out of that particular issue," he said. Alberta Premier Alison Redford, saying there were more important issues to focus on, expressed disappointed last week with the controversy around the gun seizures. She said the RCMP were simply securing weapons, rather than "leaving them sitting on fireplace mantles in a town that was evacuated." Her office declined to comment Friday on Paulson's letter. But Alberta's Opposition Wildrose party welcomed the move. Leader Danielle Smith is from High River. "Obviously, my constituents were very concerned to hear that police officers were going into their homes and seizing their possessions," she said in a statement. "This seizure only further aggravated an already tense and stressful situation with residents forced out of their homes and not knowing the fate of their belongings. These sorts of actions damage the trust residents have for their leaders and will make future disaster situations more difficult to manage effectively."